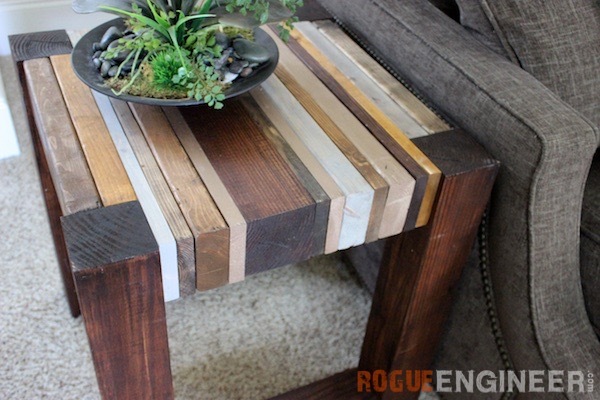 I’m sure you can imagine the endless amount of scrap wood we accumulate with all these projects. 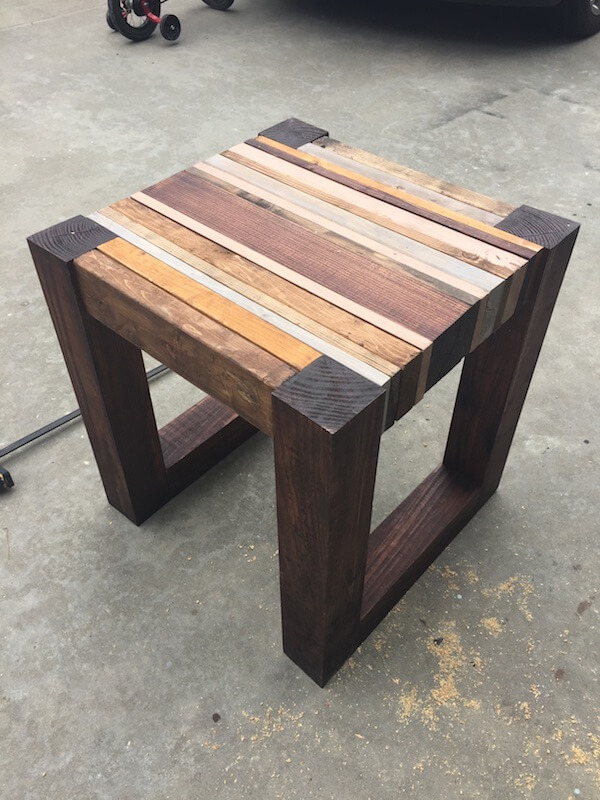 We needed more space on our lumber rack, so I made and end table! 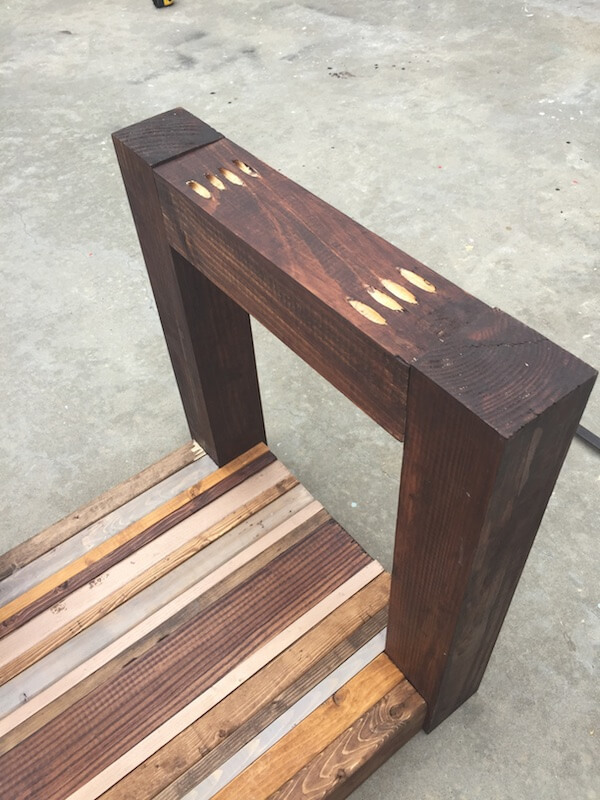 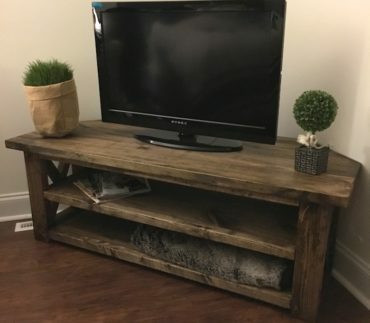 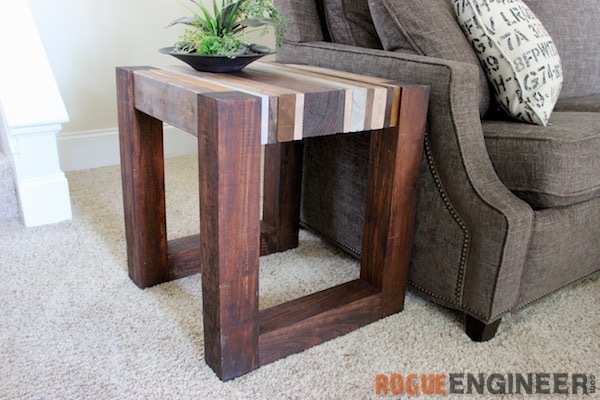 Here’s how I made this awesome end table from a pile of scrap wood. 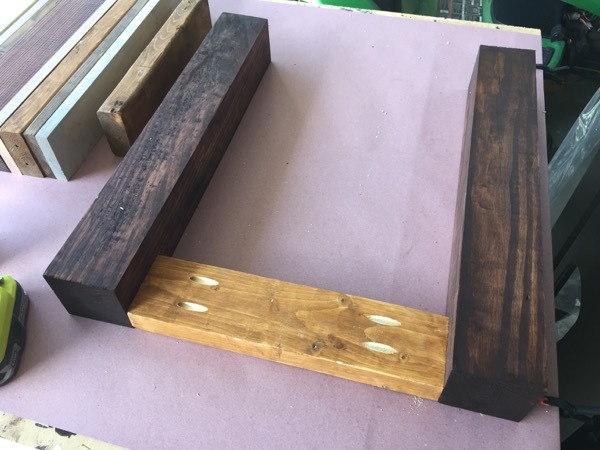 This will be a tutorial, unlike most of my plans, since this is a scrap wood project and more dependent on what you have in your scrap pile. 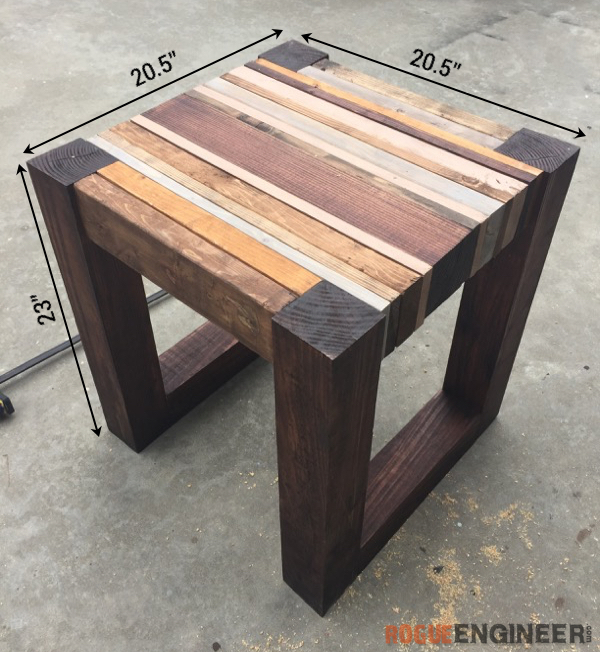 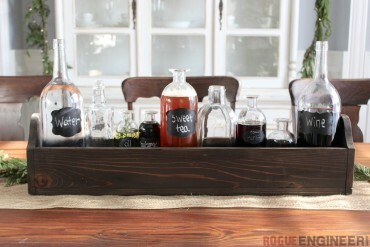 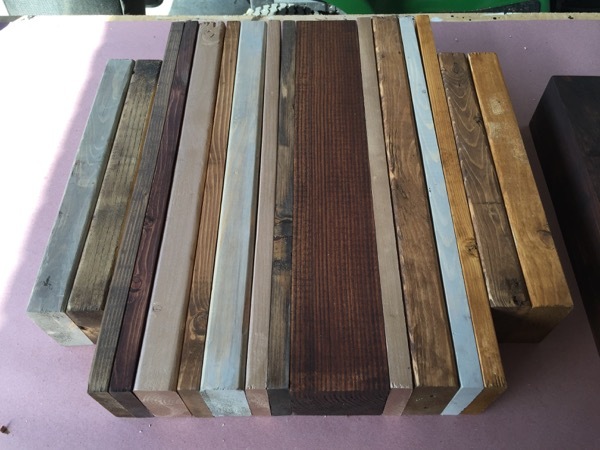 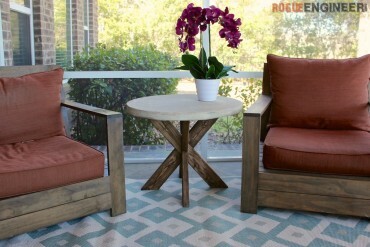 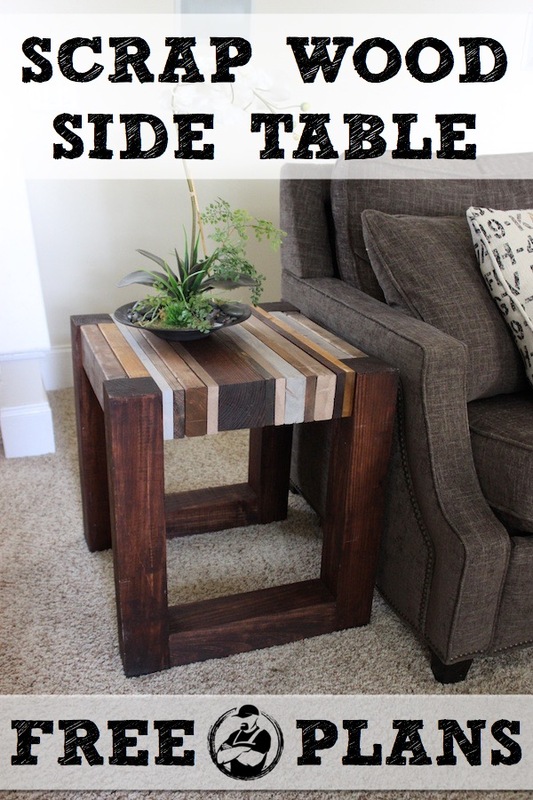 Follow along with the steps below to get an idea for how to create your own scrap wood side table. 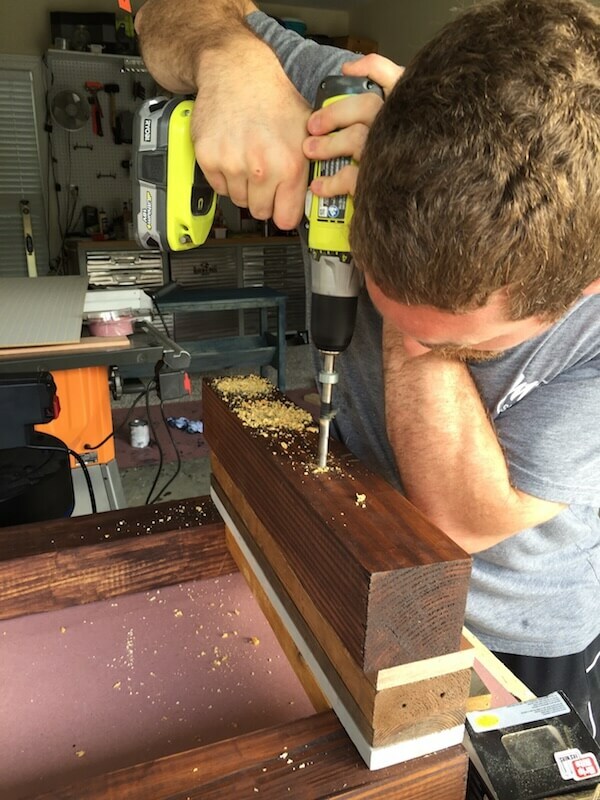 Using a Kreg jig, drill 2 pocket holes on each side of 2 of the 2x4x14” wood pieces, these are going to be the inside pieces that attach to our 4x4x23” legs. 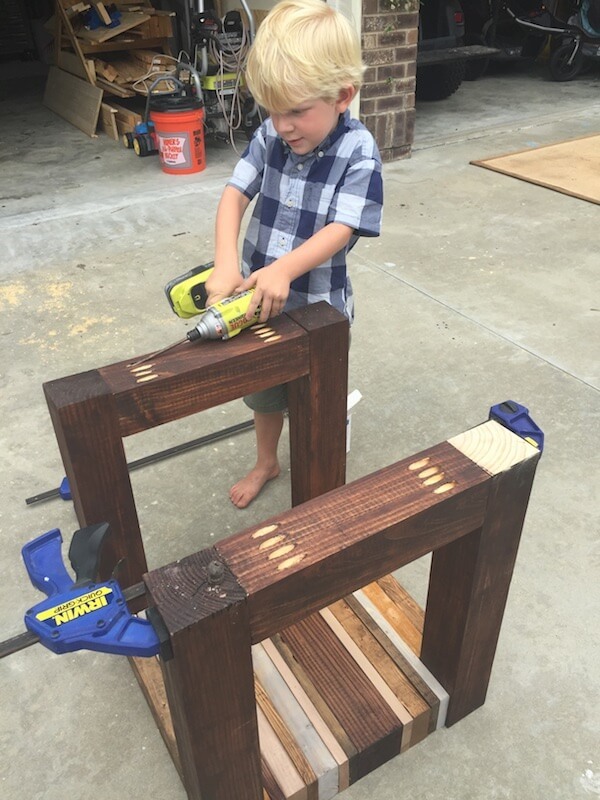 Assemble top by attaching boards randomly to one side using 2-1/2″ wood screws for 2x4s and 1-1/4″ screws for 1x4s (making sure to pre-drill first). 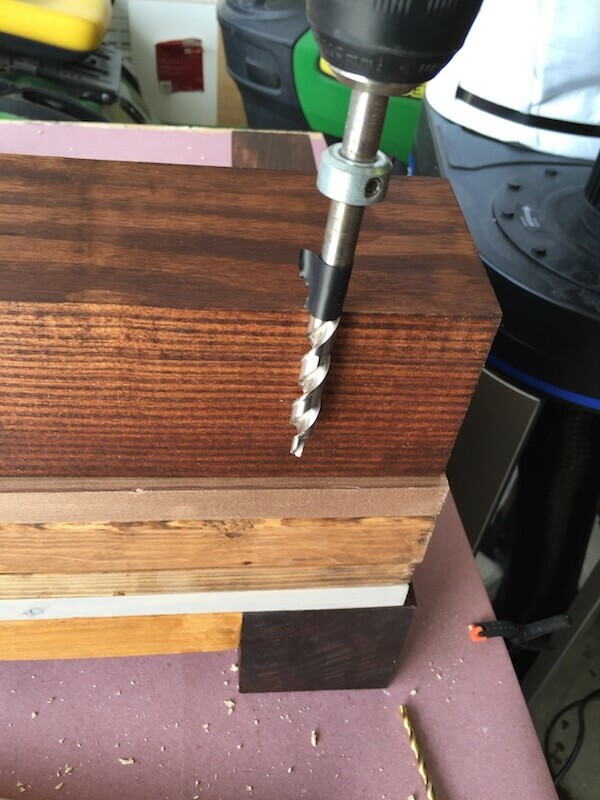 Continuously check that the top is level throughout the process. 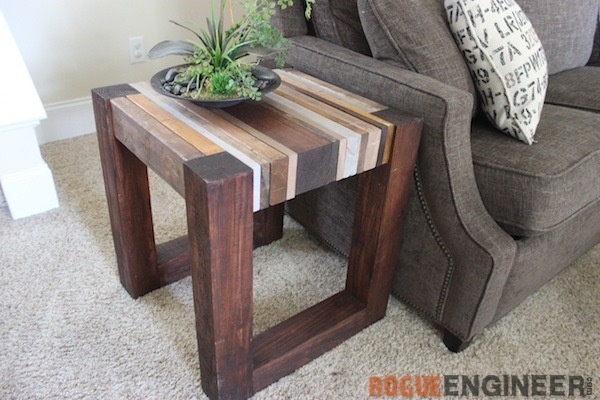 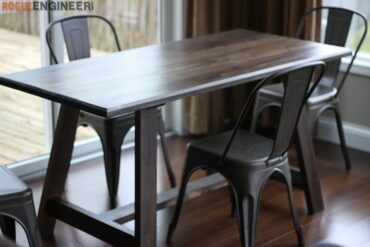 Attach the other set of legs to the top using 2-1/2″ wood screws. 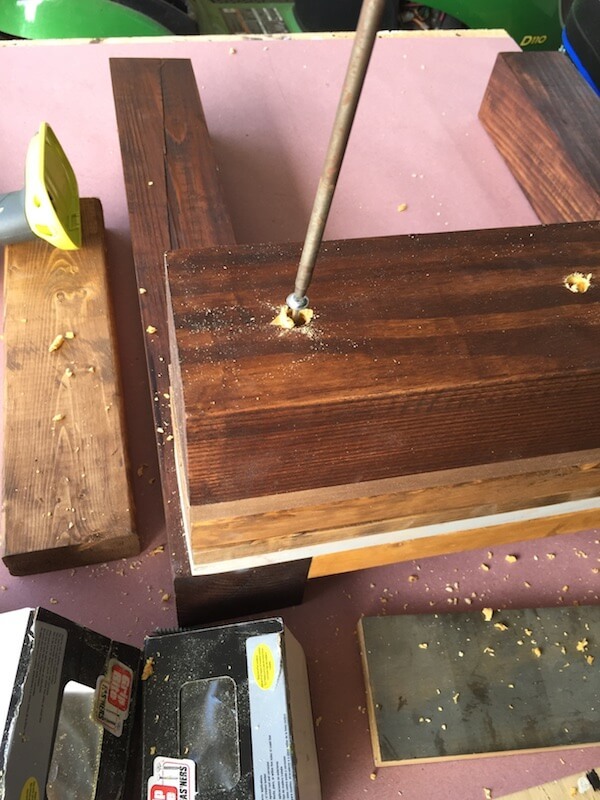 Then, drill 4 pocket holes on one side of both of the 4x4x14″ wood pieces, this will be used to assemble and sturdy the base of the table. 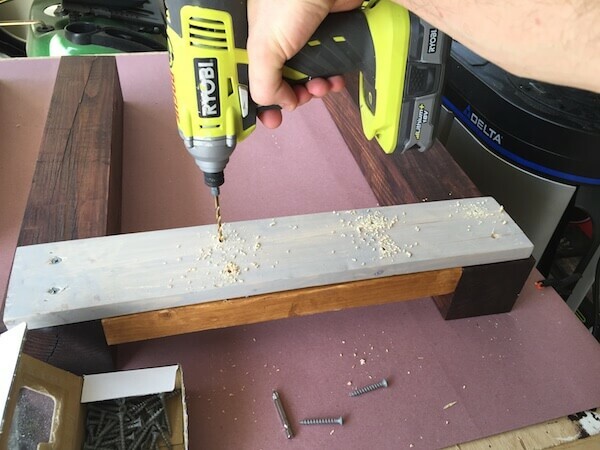 Install these lateral supports in the opposite direction that the boards in your top run using 2-1/2″ pocket screws.